KUMASI, Ghana – The Ghana Union of Traders Association (GUTA) has expressed strong apprehension over the lack of commitment and will of the Ministry of Trade and Industry and the Ghana Investment Promotion Centre (GIPC) to enforce the country’s investment laws which bars foreigners from directly engaging in the retail trade. The association has thus issued a June 30th deadline for foreigners to cease their activities in the retail markets. “Government has failed to act or heed to our calls. We have sent too many petitions, letters and complaints, and have had too many meetings also. And GUTA at the national level has decided that we have had enough, and need to demonstrate to the powers that be that its either they listen to us once and for all or we advise ourselves. He hinted that shops are expected to be closed during the period of the protest. 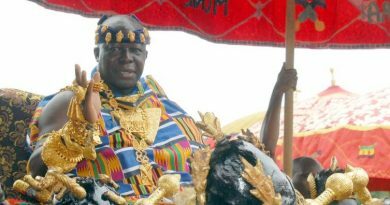 It will be recalled that the issue of foreigners taking over the retail sector, a market reserved for only Ghanaian citizens, sparked a public outcry among some trade unions and associations in the country — leading to a revision of the GIPC Act, 1994 (Act 478) and subsequent formation an inter-agency task force by the Trade Ministry to check the activities of foreigners in retail trade. The GIPC Act 2013 (Act 865) that replaced GIPC Act 1994, (Act 478) was revised to reflect changing economic dynamics to guarantee optimum business opportunities and incentives for Ghanaian enterprises. It reserves the sale of goods or provision of services in markets, petty trading, hawking or selling of goods on stalls to Ghanaians. It was hoped that the implementation and subsequent enforcement of the law would contribute meaningfully to prevent non-Ghanaians from taking over the retail sector of the economy. However, several months down the line, GUTA is accusing some GIPC officials of failing to ensure compliance of the investment laws under the pretext of inadequate resources, and connive with foreigners to go against the law. They also accuse the disbanded task force set up by the Ministry of Trade and Industry of failing to flush-out foreigners who continue to invade the retail market. “These people are threatening our economic survival. We have an inelastic market; we cannot share this limited market with foreigners, given the wide disparity in our economic environment. Now doing business in Ghana is very expensive. Consider the huge duties we pay at the port, bank charges on facilities, interest rates and the others. We are trading in an unfair environment,” said the visibly unhappy Chairman. The demonstration, according to the GUTA executive members in Kumasi, is also a statement of their disquiet about several governmental policies which they say are collapsing local businesses. Among the number of concerns catalogued in a press release, in addition to the dominance of non-Ghanaian nationals in the retail business sector, is the 2% special levy on imports and added 1% charge; the 2.5% increase in value added tax (VAT); dollar-indexing of duty and alleged ‘illegal’ charges at the port. It was explicitly stated that the failure of authorities to enforce compliance of the country’s investment laws is having numerous adverse effects on the national economy. They cited the high, rapid depreciation of the cede and crumbling of the manufacturing sector among other challenges being experienced across the various sectors of the economy as being part of the several examples of consequence from this let-down. A source at the GIPC disclosed that the officials of the Trade Ministry and GIPC are preparing to meet leading members of the various trade associations as at the time of filing this report. 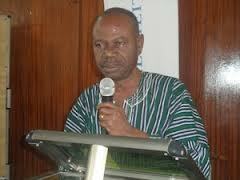 ← Ghana Youth Authority To Hold Patriotism Lecture Series.